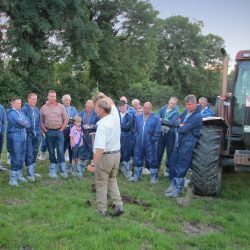 The View from Northern Ireland: A large group of farmers from counties Down and Armagh attended a soil compaction and benchmarking analysis farm walk on the Focus Farm of Kyle McCall, Collone, Co Armagh recently. 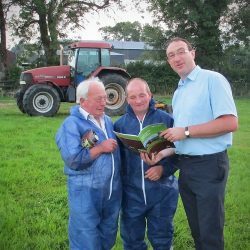 The event was organised by Senan White of College of Agriculture, Food and Rural Enterprise (CAFRE) and covered three main topics: planning for grazing and winter fodder, farm performance through benchmarking and the issue of soil compaction on farms. The first topic, stressed the need to plan for grazing and winter fodder immediately! 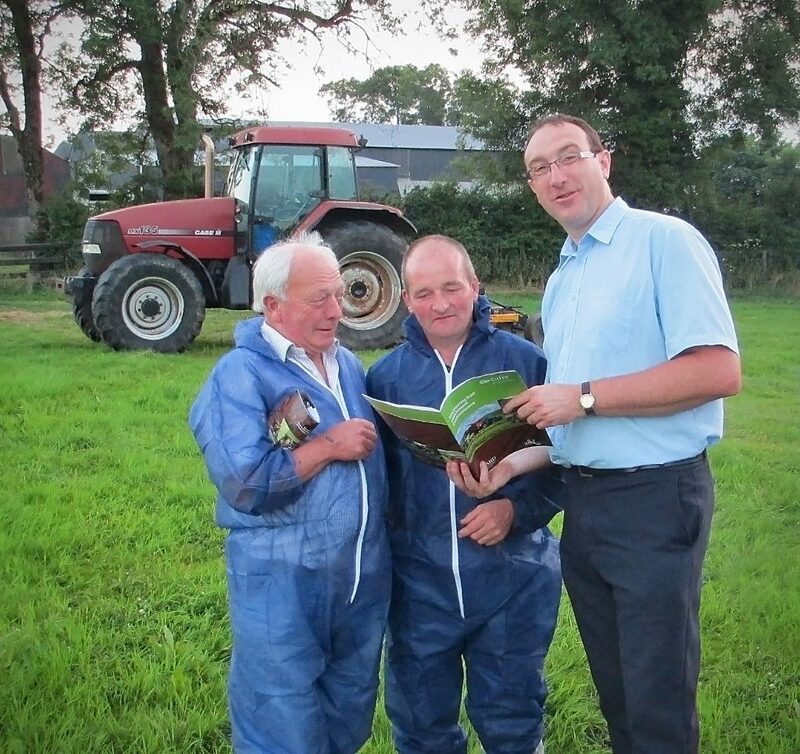 Farmers present were encouraged to make use of the CAFRE Beef and Sheep Producers checklist and to contact their local CAFRE adviser for assistance. It was emphasised that farmers should plan to grow as much grass as possible on their farms during the remainder of July and August and ensure that they utilise it efficiently. In addition they must consider the numbers of livestock which they intend to carry through the winter. Christopher Breen, CAFRE gave a presentation covering the free benchmarking service which helps farmers evaluate the physical and financial performance of their business and where the business could be improved to increase profitability. Host farmer Kyle McCall stated: “Benchmarking in particular has been of great benefit to me as it has helped me look at and evaluate my farm performance,” Kyle has undertaken several actions which he believes will leave him in a better position this winter and into the future. These include a reduction in cow numbers, breeding his own replacements and better utilisation of grass by strip grazing were possible and allowing the calves to forward creep ahead of the cows. In addition Kyle has also adopted the policy of “little and often” fertiliser application where ¾ of a bag of Nitrogen /acre is being applied after each grazing. This has resulted in much better grass yields and an actual surplus of grass of approximately 20 per cent that has been ensiled. The final part focused around improving soil and sward performance through alleviating drainage problems and soil compaction. 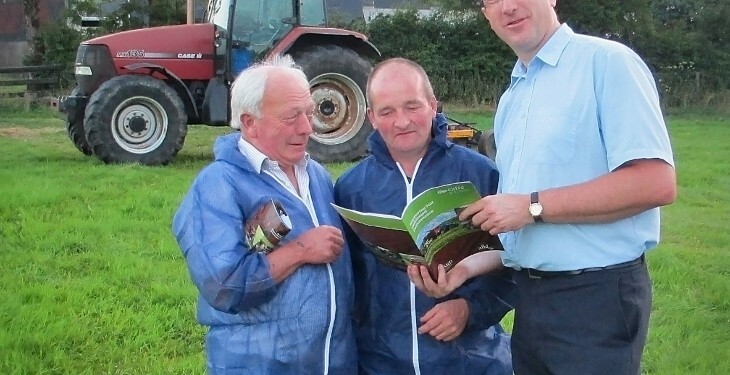 John Sands, senior beef and sheep development adviser for Counties Armagh and Down gave an in-field demonstration on what to look for in a field if drainage problems or soil compaction is suspected. Sands emphasised that digging a test pit and examining the soil profile at several spots throughout a field should be the first step prior to the application of any treatments. However in the right conditions and with the right equipment soil compaction can be alleviated. 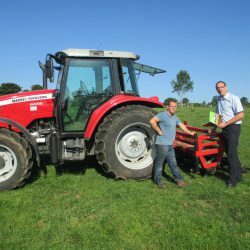 A shakerator and an aerator were kindly demonstrated by local farmers Joe McCarragher, Armagh and John Conlon, Markethill respectively at the event and those attending were able to see the impact of the treatments applied by the respective machines. If you would like to discuss any of the topics covered please contact your local CAFRE beef and sheep development adviser, who is based in a local DARD Direct office. Telephone 0300 200 7843 and speak to an adviser.